In 2004 world got its first blue rose. Roses have also travelled to space. The first rose to travel to space is Overnight Scentsation. 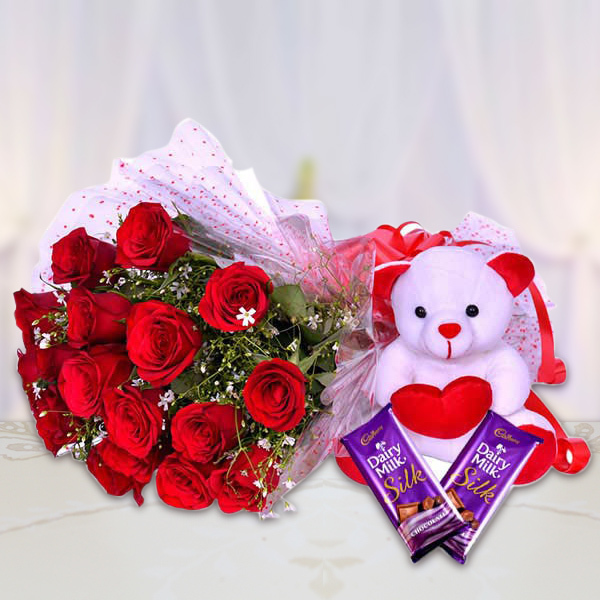 Express your heartfelt feelings to someone dear to you by sending this lovely red rose bouquet along with cute teddy bear and Dairy milk Chocolates. 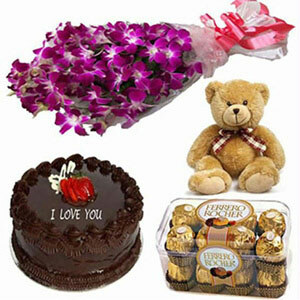 This hamper comes with fresh 15 Red Roses, 6 inches of Teddy Bear and 2 Dairy milk Silk Chocolates of 60 gm. 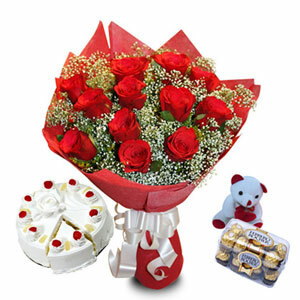 For special occasions this one is a special gift choice to make.